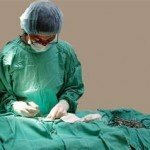 Surgery Soft Tissue surgery is an area of Veterinary Medicine that allows your doctors to really shine. 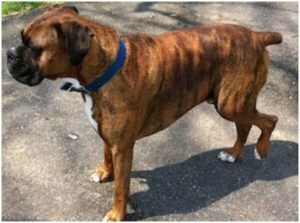 Whether the surgery be routine such as spay/neuter, or abdominal challenges it can be done for your pet here. Both Dr Merle and Dr. Becky are skilled surgeons. Surgery , anesthesia, pain management and post-operative care are part of the all process. You are in excellent hands at Timberland. As your pet ages the development of tartar and periodontal disease will occur. Preventative care in early years is very important. 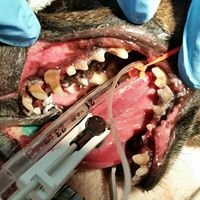 Most pets will need a dental cleaning. Many steps are required for an essential cleaning. Call us for a free dental exam today. We will grade your pet's oral health and give you immediate steps toward a better smelling breath! Orthopedic Surgery Surgery is never something you “want” to have done. However, if it needs to be done consider Timberland for your needs. 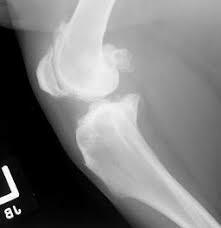 Our surgery list includes Cranial Cruciate repair, Patellar Luxations, Fractures, Soft Tissue , Tumor Excisions, Dental Extractions/Flaps and so much more. Radiology is fun (when you are a doctor).Digital Radiographs (x-rays) show the 3 dimensional world of abdomens , limbs, hearts and lungs.Digital images can be achieved in 30 seconds and can correct for motion. Often sick animals will need radiographs along with other tests to put the pieces of the puzzle together in diagnosing your pets problem. We do ultrasound and OFA certified films too.